This year's Mid-Autumn Festival falls on 15 September 2016, which is a Thursday. And this means that the bulk of the Mid-Autumn activities will be taking place this 10/11 weekend. Oh, include 12 September too since it is a long weekend! WOOHOO! And since the Mid-Autumn Festival is all about spending time with the family, parading lanterns and of course, gorging on mooncakes, what better way to spend the long weekend than to get those lanterns ready, head out and bring the kiddos down to the following festivities this weekend. 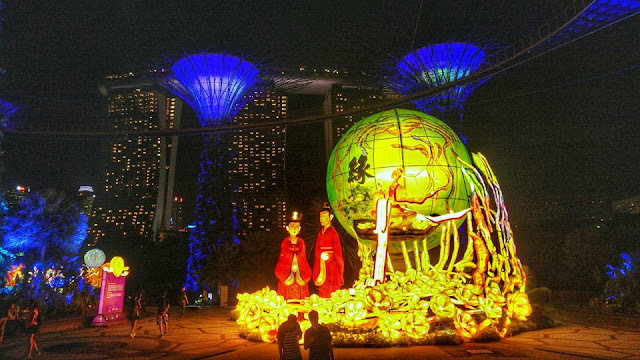 Spectacular, giant lantern sets, with the largest measuring up to 27 metres across, will be on display at various locations in the Gardens - Golden Garden, near Conservatories, Supertree Grove and Dragonfly Bridge. 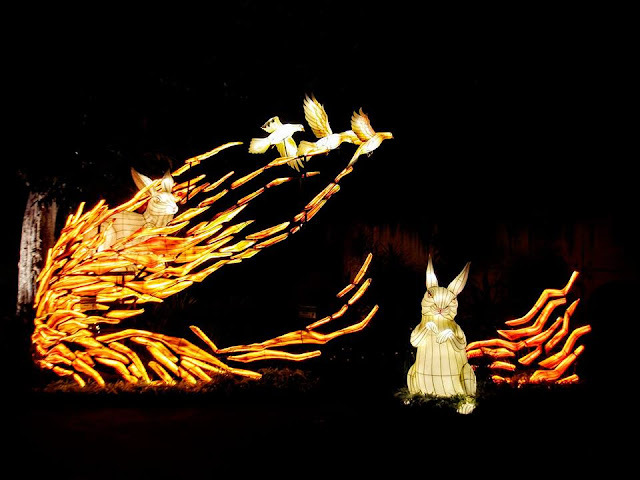 These lantern sets include stories of well-loved tales like Chang Er, The Jade Rabbit and The Ten Suns. Designer extraordinaire Ron Arad presents 720°, a monumental outdoor video installation that will wow you with its immense size and creativity. 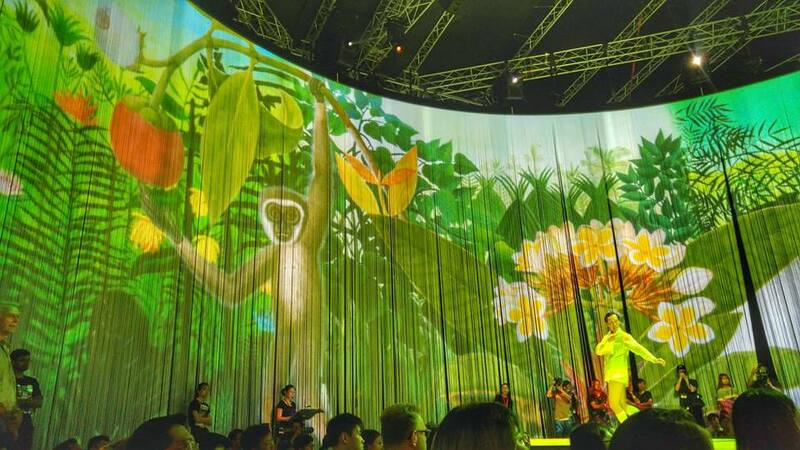 Gather your friends and family, and enter this magical interactive stage - shaped like a coliseum - right here in Singapore at Gardens by the Bay. Take a picturesque stroll along the Colonnade as 4,000 colourful lanterns in a myriad of colours and design hang overhead, bathing the path in a gentle glow. 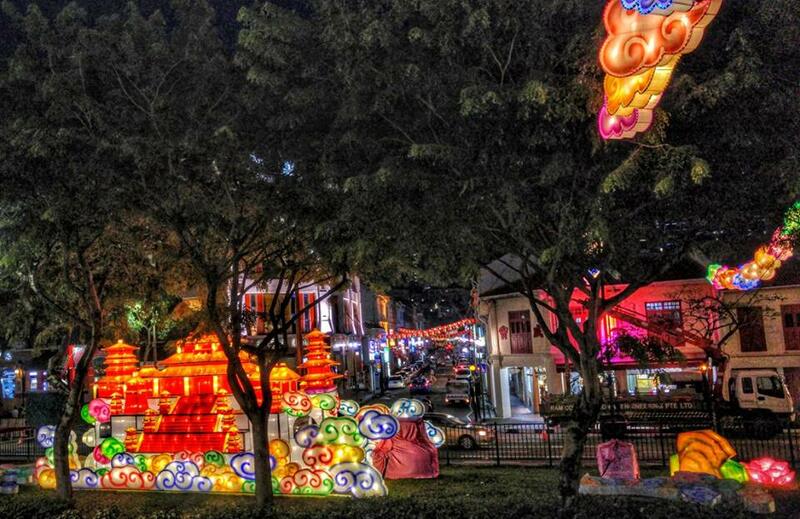 These lanterns are decorated by the community, so you might even spot some bearing the artistic touches of friends and family! Indulge in a hearty spread of Asian delights at the Supertree Grove, including savoury eats like salted egg fries and the chili crab mantou. 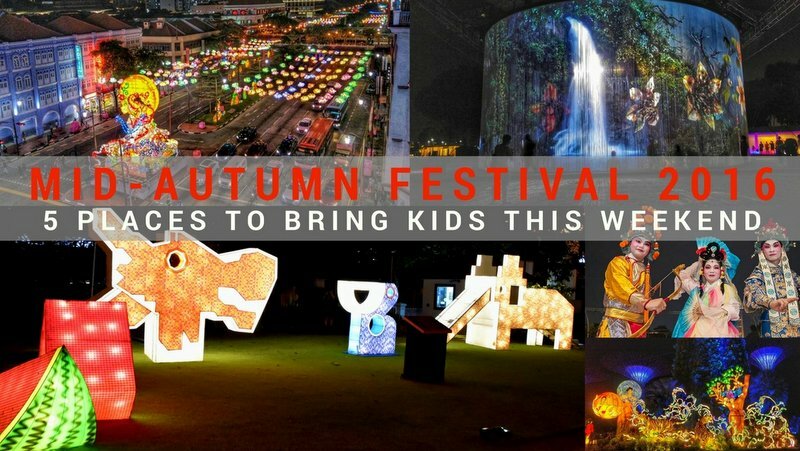 Immerse yourself deeper into Chinese culture this Mid-Autumn season by trying out cultural activities* like lantern decorating, calligraphy and guessing of riddles** at the craft booths. To celebrate Mid-Autumn Festival this September, Sun Yat Sen Nanyang Memorial Hall has created its own lantern playground in the form of life-sized heritage playgrounds! Handmade by traditional craftsmen, these nostalgic lantern installations promise to be great for family photo-moments under the stars. The lanterns light-up is open to public from 9 to 18 September 2016 and admission is FREE for everyone. 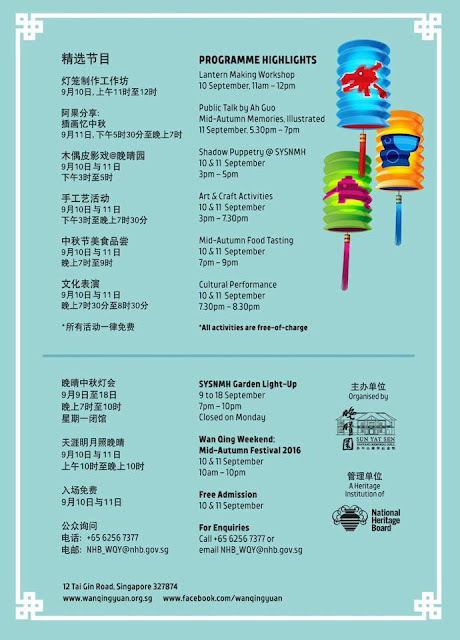 But to soak in the Mid-Autumn Festival atmosphere, head down on the weekend of 10 & 11 September where the Wan Qing Weekend: Mid-Autumn Festival 2016 Celebrations will be taking place! Other than reliving childhood memories with life-sized lantern installations resembling old playgrounds that promise to be great for family photo-moments under the stars, a host of free programmes awaits everyone – lantern riddles, lantern-making, guided tours unveiling this monument’s layers of history, storytelling sessions featuring Mid-Autumn tales, performances of popular ‘90s music and more. Activities last until 10pm, and click on the image below for the full schedule. 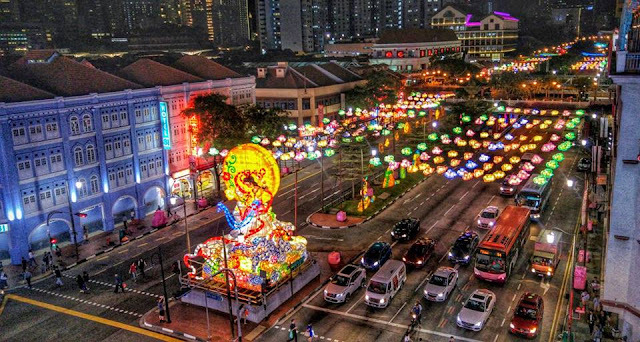 Re-discover the origin and history of the Mid-Autumn Festival at Chinatown’s Mid-Autumn Festival Celebrations this August. 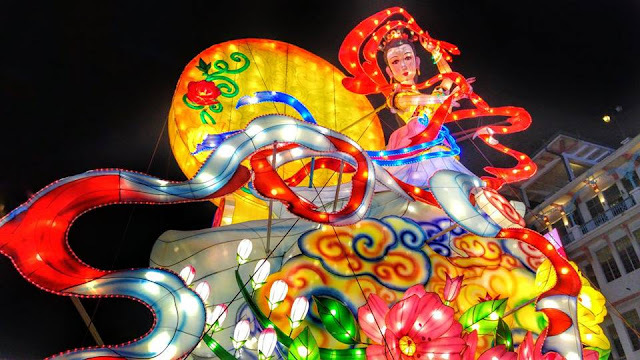 A myriad of colourful and dazzling LED lantern displays will bring alive the beloved folk tale of Chang’E and Hou Yi while lighting up the streets of the Chinatown precinct. 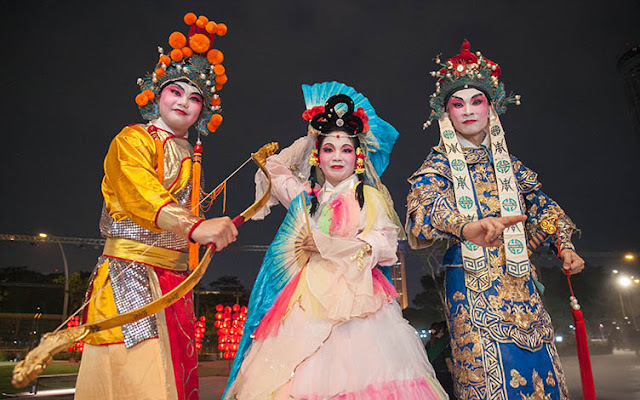 Sprightly stilt walkers dressed in Chinese Opera costumes roaming the Esplanade Waterfront! A Moonfest crowd favourite! 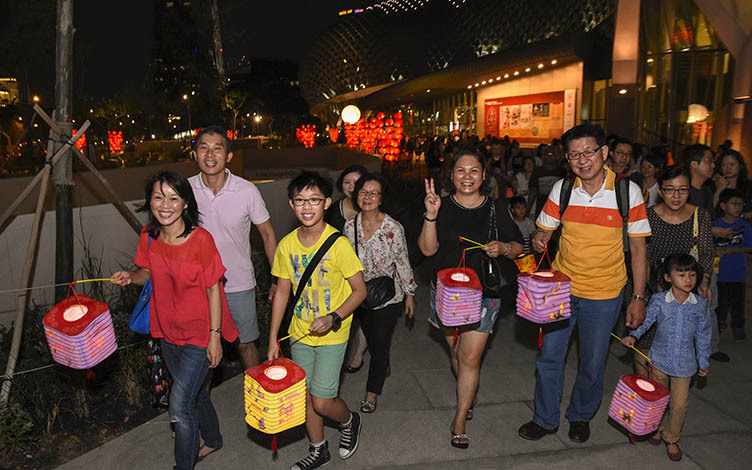 What better way to celebrate the Mid-Autumn Festival than gathering with family and friends for its annual Lantern Walkabout! Take a leisurely stroll along the Esplanade Waterfront with your favourite lantern and take in the beautiful scenery along the way. A sprightly Dragon Dance by Hong Jie Association will add to the festive mood. Little An An falls asleep and meets an old granny from the moon who has lost her way. 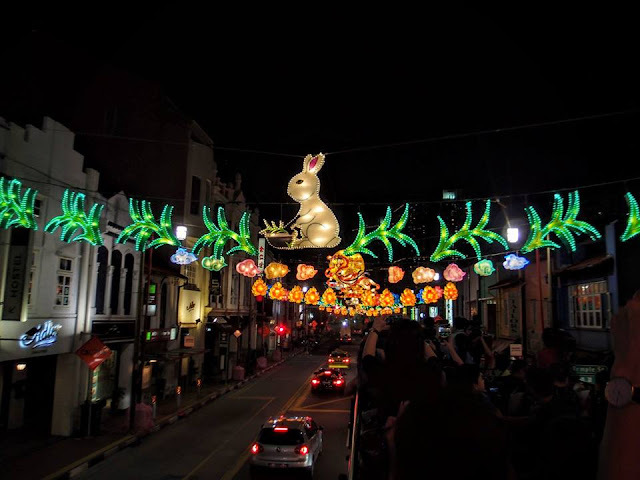 As they search for their way home, they begin to miss the ones they love... Travel on a magical journey and rediscover the meaning behind the Mid-Autumn Festival with The Pop-up Storytellers. 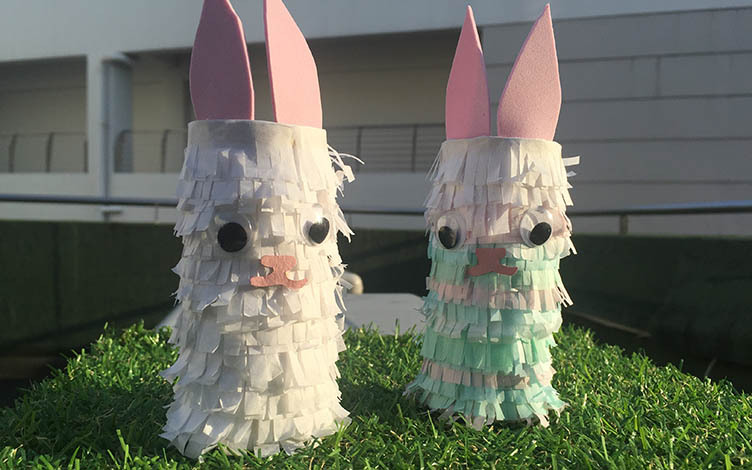 Make your own Fluffy Jade Rabbit this Mid-Autumn by using simple recycled materials like toilet paper rolls and colourful crepe paper! Activity will take approximately 45 minutes. Ever wanted to learn cool moves from kungfu movies? Instructors from RexArts Wushu take you through the basics of Chinese martial arts. 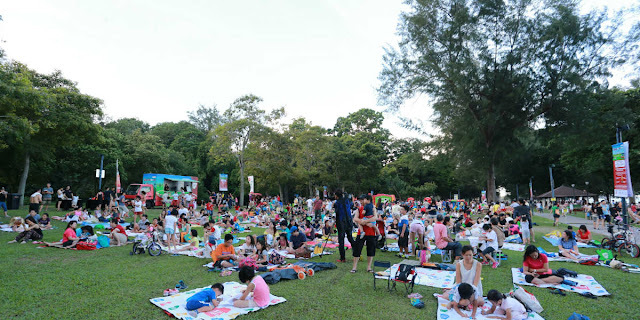 Spend family time at the Families for Life Picnic and celebrate Mid-Autumn Festival together. 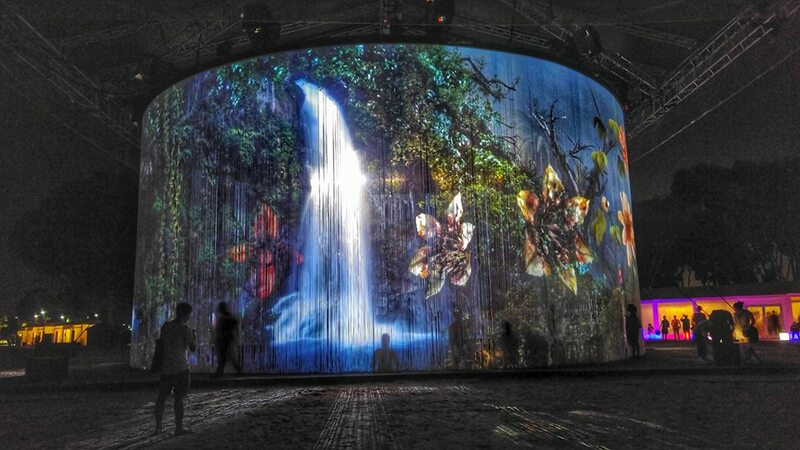 Families can also look forward to the fun family activities for the young and old, music performances and movie under the stars! For more information, visit HERE. 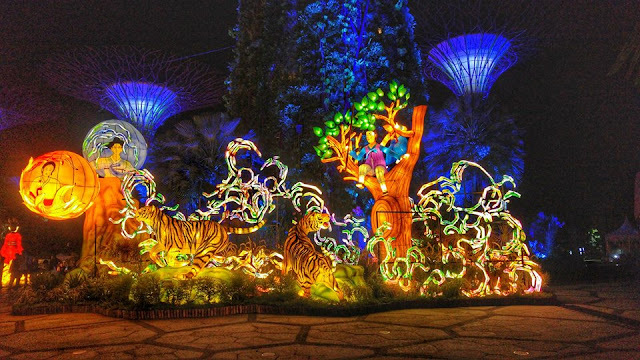 Join in a short walk around the park with your decorated lantern. Solve the riddles and receive a token! Wind down your weekend with a chill and relaxing picnic. Pack your family favourite food and enjoy the evening picnic with the family. As the sun set, enjoy the movie Minions! *Mid-Autumn @ Gardens by the Bay 2016 & Chinatown Mid-Autumn Festival Celebrations 2016 photos are kindly provided by Belinda Tan.